Beat the winter in Korea with these food items and treats. In Korea for the winter? Check out these must-try food that will get your body warmed up! Among the recommended Korean food for the winter season include jjigae, hotteok, and tteokbokki. You can easily find these Korean food in places like Myeongdong and Dongdaemun. While the thought of experiencing winter in Korea brings to mind dreamy things like snow-laden streets and a crowd in their fashionable layers, the reality of the season may prove to be harsh. The temperature in South Korea usually drops to the negative scale in January, which travelers from tropical countries may find to be quite of an adjustment. Certainly, bundling up helps, but when you get started with your Seoul travel itinerary, you’d eventually feel some numbing sensation in different parts of your body and you’d probably end up saying (or singing), “the cold bothers me in every way”. Jjigae is essentially Korean stew that’s served boiling hot. It commonly has meat, vegetables, or seafood, which means flavors will burst inside your mouth. There are many variants of jjigae in Korea that you can try. 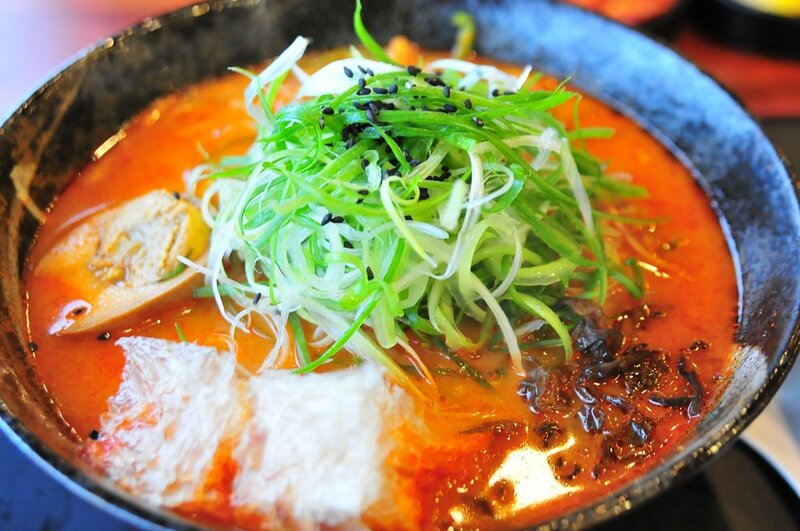 The most popular ones include sundubu jjigae (spicy tofu soup), altang jjigae (pollock roe, which is a type of cod), ge jjigae (crab), and kimchi jjigae. If you’re feeling cold and hungry in the evening, order a hearty bowl of Korean stew, which is usually good for 2-3 people. When you’re shopping in Myeongdong or strolling Gang River Park and are in need of a quick fill, look around and search for a food cart that sells Korean fish cakes or odaeng (also referred to as eomuk). Odaeng is a processed seafood snack that’s made out of fish, vegetables, and starch. This always pairs well with a cup of warm salty soup, which is usually given by food vendors for free! Nothing but a tiny bun to keep you warm during winter. If you’re familiar with dou sha bao in China or siopao in the Philippines, you’ll immediately fall in love with hoppang in Korea. Hoppang is a steamed ball of flour or rice that’s filled with either red beans, vegetables, meat, or curry. It’s always served hot, so if you’re looking for an instant snack to warm your insides, you can grab one in the market. You’ve probably heard of hotteok or Korean pancakes before as they’re very culturally popular. But if you haven’t yet, hotteok is a ready-to-go snack that’s actually perfect for any season. These are pancakes made from mixing honey, peanuts, cinnamon, and/or brown sugar. It also comes filled with chives and other vegetables. Before getting started with your day of touring, you can head on over to a food market to look for these warm delights. Once tried, you will definitely never have enough. Tteokbokki are Korean rice cakes, which are loved by many for its distinct flavor and texture. It’s perfect to snack on during the winter as they are usually hot and spicy. You can get them in food carts or restaurant chains. Restaurants usually add odaeng to their tteokbokki serving, which means you can hit two birds with one stone. Aside from trying these food items, you can also buy a hot cup of coffee or hot milk tea, which will instantly regulate your body temperature. Any more Korean food for the winter? If you’ve any other Korean food suggestions that are perfect for the winter, do let us know in the comments section below.